Apocalypse Witch Trilogy – Available Now! It’s here! Grab the Apocalypse Witch Trilogy in One. Complete. Book! What do you do when pirates kidnap you for a ransom and a mad scientist injects you with a powerful and inevitably fatal concoction of aether? Matilda Katrine Myra is no one special, but her pirate abductors don’t know that. When they boldly kidnap her from an airship and sweep her away into the deadly wasteland of mutants and poisonous radiation, her life becomes a day to day battle to evade death. And she’s much closer to death than ever. A mad scientist has injected her with toxic condensed aether, the air of the gods, and now she’ll need frequent doses just to survive each day. With a dwindling supply, she’ll have to battle mutants, mad scientists, pirates, and the spirits of the dead. The tool of her fate, a gauntlet feeding the condensed aether into her veins, is also a potent weapon. It can focus the aether into a death ray. She can also see the dead, women who suffered the fate Matilda is fighting to avoid. Along with a wasteland traveler and his clockwork dragon as her only allies, and despite the powers gifted to her by the aether, the one thing she doesn’t have is time. With passion and intrigue, adventure and swashbuckling in an apocalyptic world, Apocalypse Witch is a dystopian steampunk adventure of non-stop excitement. This novel collects the three books of the Apocalypse Witch Trilogy, Apocalypse Witch, Memento Mori, and Shadow Falls. Jump on over to Amazon and grab your digital copy! The paperback will be out in a few weeks. Soul Sister: – Available Now!!! I am very excited to announce SOUL SISTER is available to download and read on your kindle (or kindle reading app). 🙂 It’s also available for all of you Kindle Unlimited subscribers. Check it out! Amelia is a damaged girl from a broken family. It’s hard to be normal when your best friend is a ghost and you’re surrounded by living shadows. As she ages, the shadows only get stronger, threatening her very soul. One will do anything to pull her into his dark realm. To protect her family and loved ones, she may have to make the ultimate sacrifice. 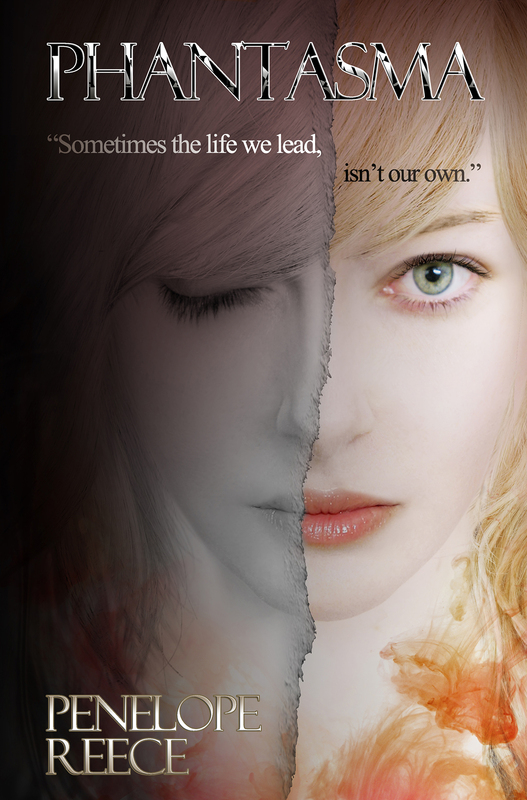 SOUL SISTER is a dark paranormal fantasy that takes place in our modern world. It is a novel of love and hate, life and death, angels and demons, hope and despair. Grab it on Amazon, today! Every day this week, I am featuring a different author on my blog as part of the Blogger Book Fair. To start things off, I’d like to introduce you to Penelope Reece and her novel, Phantasma (check out the end of this review for how to get this book for $.99!!!). Phantasma is a Young Adult Fantasy Romance set in our modern world. It follows the story of Alphie, a young girl suffering from Narcolepsy. This condition causes her plenty of misery in school and her social life, and leads to two specific girls bullying her. The book starts with Alphie and her sister holding a yard sale, where Alphie discovers a mysterious amulet. The amulet is the catalyst for Alphie discovering that there is more to her world than she ever suspected, and that it also holds clues to her past, one that she cannot remember. While Alphie is just trying to fit in at school and keep her head down, but her problems are exacerbated when the amulet summons a spirit from Limbo. Noer needs to possess a body to remain in our world, and he knows things about Alphie that she can’t remember. Worse, she identifies him as a leech, stealing her energy for his own strength. Phantasma has many of the elements that you expect from a paranormal romance – a girl uncomfortable in her own skin, unable to fit in, meeting a boy she’s crazy about – all while the paranormal world seeds its way into her life. What makes this book stand out, at least for me, were the ties to dreams and out-of-body experiences. Both Lucid Dreaming and OBE’s are subjects that I find very interesting, and I enjoyed seeing how well the author tied them into the story. Astral travel is an important part of what makes this story work. All in all, I very much enjoyed Phantasma. It is well written with believable characters that are outside of the norm for other books in this genre, with a nice twist to the main character. I highly recommend it to anyone that enjoys Young Adult fiction. There is nothing inappropriate in this book that would turn away readers of any age. As part of the Blogger Book Fair, Penelope Reece has graciously made her book available through Smashwords for $.99, and it is well worth it. You can get it at this price until July 28th, 2013. Smashwords lets you download digital books in the format of every type of ereader out there (kindle, nook, sony, kobo, pdf, etc. ), if you aren’t familiar with them.